MIT Joint Program Senior Research Scientist Chien Wang is one of six U.S.-based scientists selected in May to participate in French President Emmanuel Macron's "Make our Planet Great Again" program, an initiative aimed at boosting the international science community’s efforts to combat climate change. Chosen by an international panel of experts, the six new U.S-based scientists and eight others from around the world join the program’s first 18 invitees, bringing the total number of participants to 32. Launched in response to U.S. President Donald Trump’s June 2017 announcement of his intention to withdraw the U.S. from the Paris Agreement on climate change, and subsequently coordinated with a similar effort in Germany, the initiative provides up to 1.5 million euros (about $1.8 million) over three to five years for non-resident researchers to develop in France, along with French partners, high-level research projects aligned with the goals of the Paris Agreement. Projects will focus on advancing the world’s understanding of Earth system science, addressing sustainable development challenges and supporting the transition from fossil fuels to zero-carbon energy sources. The six new U.S.-based grant recipients, who hail from Carnegie Mellon, Duke, Florida State, MIT, the University of Montana and Yale, will explore topics ranging from global ocean circulation to biodiversity. 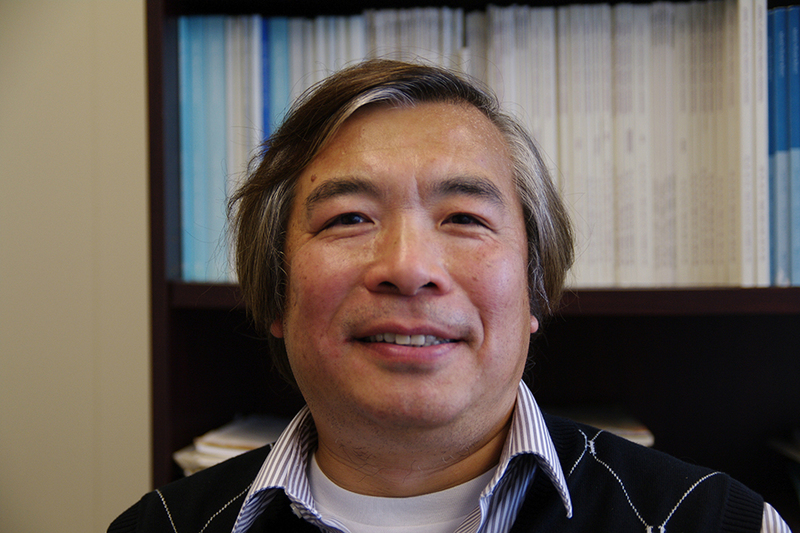 The objective of Wang’s project, “Enhancing the Understanding of the Roles of Aerosols in Climate and Environment (EUROACE),” is to advance knowledge about the critical yet still poorly understood issue of how aerosol-cloud interactions impact the climate, and to develop new methods to more precisely represent key physical processes involved in these interactions in Earth system models. Produced by power plant emissions, vehicle exhaust, biomass burning and other human activities, as well by natural processes such as volcanic eruptions, airborne particulates or aerosols have far-reaching effects on the Earth system. Aerosol-cloud interactions are among the greatest sources of uncertainty in today’s climate model projections. To get a better handle on these interactions and their impacts on the global climate and environment, Wang will study their effects on precipitation (both locally and over great distances), cloud cover and phase changes, and other critical atmospheric phenomena. He will also seek to determine the sensitivity of these effects to aerosol size, chemical composition and atmospheric concentration—quantities that vary depending on the emissions source. To obtain this knowledge, Wang will employ regional-to-global-scale modeling with detailed physical and chemical processes alongside observational data and advanced data science tools such as deep machine learning algorithms. Starting this year, he will pursue this research in close collaboration with colleagues at two hosting research institutions in the city of Toulouse—the Laboratoire d’Aérologie of the Joint Research Unit of the National Research Council, and Paul Sabatier University.